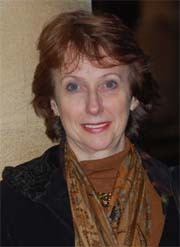 Carolyn M. Salafia, M.D. is Board Certified in Anatomic and Clinical Pathology with subspecialty board in Pediatric Pathology. She has held academic appointments at the Associate and Full Professor levels at Georgetown University Medical Center, Albert Einstein College of Medicine, and Columbia University College of Physicians and Surgeons. Dr. Salafia received her BA from Dartmouth College and an MD from Duke University School of Medicine. Following medical school, she completed a Residency in Anatomic and Clinical Pathology at the Yale-affiliated community hospitals of St Raphael and Danbury Hospital, where she began her long publication history with analyses of the placental pathology underlying complications occurring in a low-risk community based population. For over fifteen years, her clinical practice and scientific inquiries have been directed exclusively to the area of reproductive and developmental pathology. In her words, "The developmental pathologist must use the tools of tissue study to assist the clinical caregivers in determining the causes of pregnancy compromise." She continues, "It's important to clinicians and patients to be able to sort out what appears to be simply part of the 'built-in' fragility of human reproduction, and what requires our surveillance and treatment. Prior to the development of sensitive HCG tests and obstetric ultrasound, the pathologist played a necessary role in confirming the fact of pregnancy in a woman who presented with abdominal pain or bleeding of unknown cause. Pathology training has not kept pace with obstetric advances. To confirm the fact of pregnancy with the diagnosis of 'placenta' or 'products of conception' does not contribute to understanding of the cause of loss, which is now what clinicians and patients want and need to know."